Accompanied Joe to an evening st school sorting out his choices of GCSE options in year 10: the latest step in the process by which dreams and aspirations become squeezed into systemic categories. But he seems keen enough. Here, am I trying to represent said aspirations? 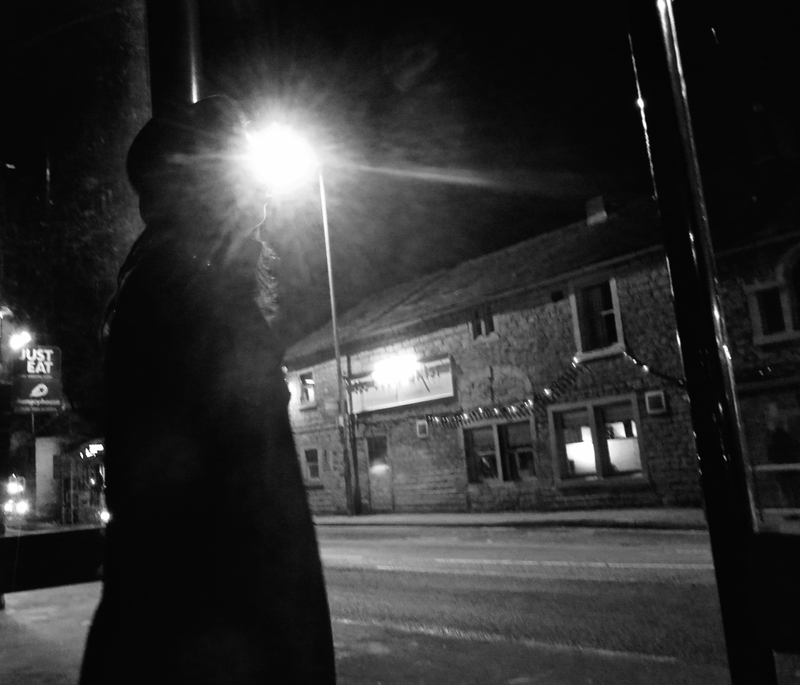 Is it a moody and atmospheric shot (in the unglamorous surroundings of the bus stop in Mytholmroyd)? Or just a bad photo?